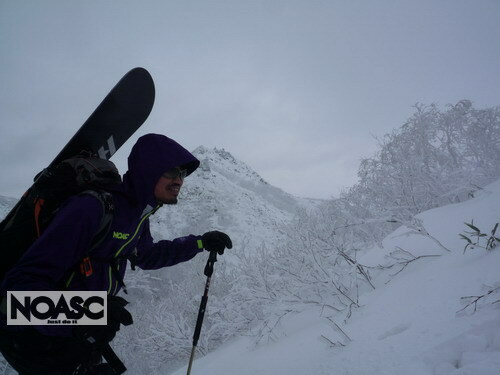 NOASC Backcountry Tour Guide profile No.2, "Isshi"
Isshi, is one of our backcountry guide who is totally mountain guy. He loves spending time within nature. 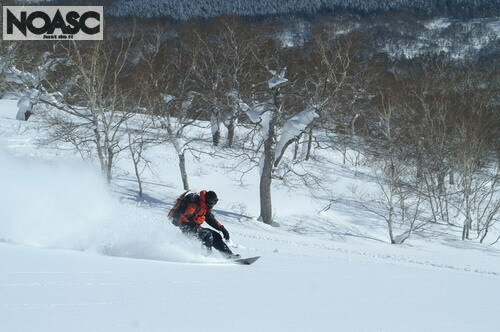 And he is having fun while he is hiking up on the Mr Yotei, even for some hours. 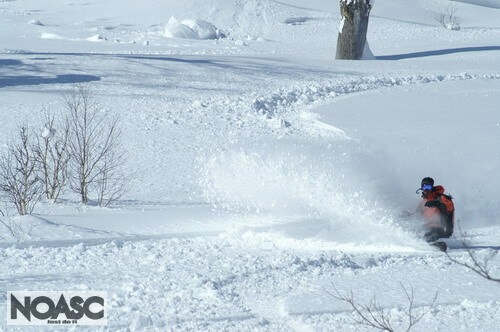 It's because, he's known he will have good snow after all. This must be a perfect day to him. 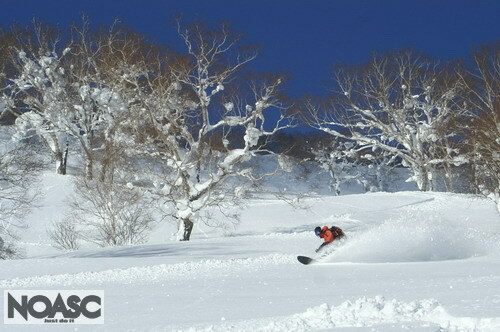 What else do you need in winter??? He is a guide for rafting tours too. 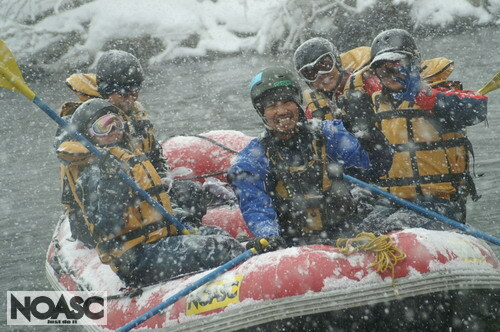 This is NOASC special "Winter Rafting"
Isshi is in the center with blue jacket. He loves mountains and rivers too. He is quiet, but we always feel how much he loves nature from his words. Come to take our tours and of course to see him to chat with.